A comprehensive list of first-quality optics consisting of overrun parts made from a wide variety of materials is being published by Meller Optics, Inc. of Providence, Rhode Island. The listed optics can often replace the need, expense, and waiting time associated with ordering custom optics. 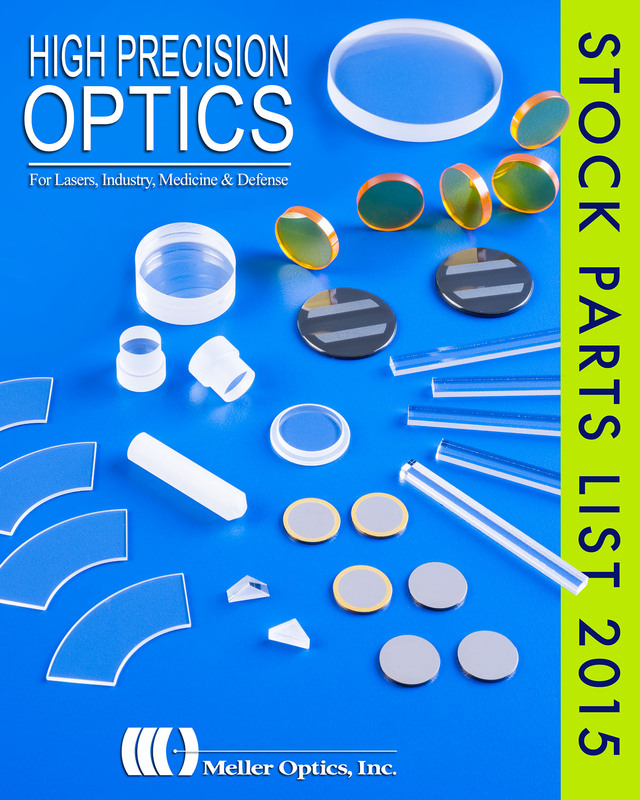 The Meller Optics 2015 Stock Parts List includes over 75 categories of precision first-quality optics resulting from production overruns. Featured are sapphire windows, waveplates, lenses, and other hard-to-find optics in round, square, rectangular, flat, and wedge shapes which are typically priced 20% less than custom ordered parts and are shipped within 24-hours. Dimensional tolerances for these production overruns included in the Meller Optics 2015 Stock Parts List typically range from ±0.001” to ±0.0005”, with flatness of 10 waves to 1/10th wave, and 10-5 to 80-50 scratch-dig finishes. The categories of optics included are BaF2, CaF2, germanium, laser glasses, quartz, ruby, sapphire, silicon, strontium titanate, and ZnSe. The Meller Optics 2015 Stock Parts List is available with online ordering at www.melleroptics.com/overrun.asp.